The stock market today is rebounding from yesterday's dismal session, the second worst day of the year. The Dow Jones Thursday sunk more than 250 points, or 1.96%, to 12,573.57 and the S&P 500 fell 2.23% to 1,325.51. Stocks are fighting back today, trying to ignore Moody's rating downgrades of five of the six largest U.S. banks. The downgrades included Citigroup (NYSE: C), Morgan Stanley (NYSE: MS), Goldman Sachs (NYSE: GS), Bank of America (NYSE: BAC) and JPMorgan Chase (NYSE: JPM). Each of these stocks were up Friday as the markets already discounted the downgrades. Editors Note: Not all are winners: While stocks enjoy gains today, keep these on your “Do Not Buy” list…. The markets, led by financials, opened Friday's trading with a jolt upwards before settling back to modest gains. Investors remained focused on Europe as leaders from Germany, France, Spain and Italy met in Rome. Little is expected to amount from this meeting, but it could establish a framework for what is to come in the European Union summit next week. Besides the financial stocks there are three other companies to keep your eye on today: First Solar Inc. (Nasdaq: FSLR), Darden Restaurants Inc. (NYSE: DRI) and Harvest Natural Resources Inc. (NYSE: HNR). First Solar (Nasdaq: FSLR), the largest maker of thin film solar panels, jumped in early trading after receiving permission to continue construction on a $1.36 billion power project in Los Angeles County. First Solar stock has been beaten down this year amid steep losses and criticism over its involvement with the U.S. government. The Antelope Valley Solar Ranch One plant, which had been suspended until today, is partially funded by a $646 million loan from the U.S. Energy Department. Shares of First Solar have slipped over 85% over the past twelve months from a 52-week high of $142.22. First Solar sold the 230-megawatt Antelope Valley plant to Exelon Corp. (NYSE: EXC) in September for $75 million, according to a February filing from the solar company. First Solar likes to sell projects that it is working on to larger power producers such as Exelon who market and sell the electricity produced by the panels. First Solar expects to complete the plant in 2013. Shares of First Solar were up 11% as of noon. Darden Restaurants Inc. (NYSE: DRI) reported a $1.15 diluted net earnings per share for the fourth quarter. That marked a 15% increase from last year's fourth-quarter earnings per share of $1.00 and a 5% increase in its fiscal year diluted net earnings per share, rising from $3.41 to $3.58. The company also announced it would increase its quarterly dividend 16%. The stock, however, has fallen due to lower guidance for the 2013 fiscal year and lower-than-expected sales. CEO Clarence Otis said in the earnings release, "From a sales perspective, growth in the fourth quarter was below expectations, due largely to same-restaurant sales declines at both Olive Garden and Red Lobster that reflected less effective than anticipated nationally advertised promotions." Otis also offered an indication that investors cannot expect much growth from Darden in the next year. "We believe the business environment in fiscal 2013 will be similar to that in fiscal 2012, with slow and uneven recovery in both the economy and our Industry." Darden projected same-restaurant sales growth of 1% to 2% for fiscal 2013, well below Wall Street's expectation of 7% sales growth. Darden stock has fared well in 2012, up over 8% in a rather sluggish market, but is down almost 2% today following Friday's results. 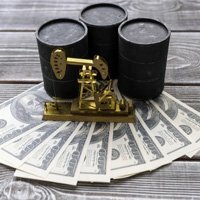 Harvest Natural Resources (NYSE: HNR) is today's biggest gainer after the Houston-based energy company announced it would sell its oil interests in Venezuela for $725 million in cash. Pertamina, Indonesia's state oil monopoly, said in a statement Friday that it has agreed to acquire Harvest's effective 32% stake in Petrodelta, a joint venture with Venezuela's state oil company, PDVSA. The deal has already paid off for Harvest as its stock surged more than 85% in early trading. Some analysts think there is still more upside to come from the deal. "If you do the simple math of the net proceeds to the company after they pay taxes and transaction costs, the deal is worth approximately $14 a share, and the company still has assets in Gabon in western Africa which are worth $5 a share or more," Patrick Goff, a senior analyst at First Capital Alliance LLC in Chicago, told Bloomberg News in a telephone interview yesterday. As of noon Harvest Natural Resources stock was up 85.45% to $9.05. The Dow Jones today was up 44 points, or 0.35%, by noon, as the S&P 500 rose almost 4 points or 0.28%.